Our Tonopah Nevada family lawyers are always up-to-date on the newest case law, and will determine the best way to approach your case. Call a Tonopah Nevada family lawyer at (775) 289-4422. Family law is broad. It covers matters related to divorce, child custody and visitation. It also deals with child support, domestic partnerships, paternity disputes, and guardianship of minors. Additionally, family court handles abuse and neglect matters, adoptions, and termination of parental rights. 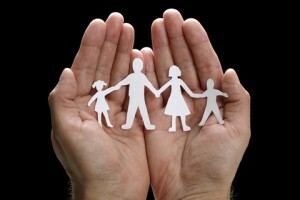 The majority of family law is defined by the Nevada Revised Statutes. For instance, NRS 125B gives specific guidelines for child support based on the number of minor children involved. NRS 128 provides the exact law for termination of parental rights. NRS 122 defines “Domestic Partnership” and sets forth the standards for establishing and terminating one. While the statutes lay the foundation for family law, there are a number of precedents that can be used to challenge the statutes. Our Tonopah Nevada family lawyers are always up-to-date on the newest case law and will determine the best way to approach your case. Call a Tonopah Nevada family lawyer for a free consultation at (775) 289-4422. Use the links below to learn more about other common family law issues. Our Tonopah Nevada family lawyers can assist you through the legal process. Our Tonopah Nevada family lawyers are experts in navigating the complexities of parental rights and handling all types of adoption. Call a Tonopah Nevada family lawyer today at (775) 289-4422. There are many forms of adoption: step-parent, grandparent, extended-family, domestic partnership, and open and closed adoption. Adopting a child means you accept all the rights and responsibilities of a biological parent. In Nevada, adoption includes parenting classes, a home study, a placement period, and court approval. Before an adoption can take place, the parental rights of both biological parents must be terminated. This can be done by written consent or forced by order of the court. Both biological parents must render consent to the adoption, unless one parent is deceased. In that case the court will require proof of death. Once written consent is given, it cannot be nullified or rescinded. If the biological parents cannot be located or refuse to consent, the court may forcibly terminate all parental rights. When this is considered, the court looks at the best interest of the child, whether there has been abuse or neglect, any efforts towards financial support, and whether the parents have been involved in the child’s life. Once the court has issued an order terminating parental rights, the parent no longer has any interest in the custody, care, or control of the child. While this order relieves the biological parents of future financial obligation, it also prevents them from participating in any decision regarding the child. Nevada Revised Statute 127.020 states that an adult must be at least 10 years older than the minor child to be adopted. If the minor child is fourteen or older, the child must consent to the adoption. Any single adult or married couple who has resided in Nevada for six months or more may petition for adoption. A married person may not petition to adopt as an individual; both parties to the marriage must consent to the adoption. Our Tonopah Nevada family lawyers are experts in parental rights and handling all types of adoption. Call a Tonopah Nevada family lawyer today at (775) 289-4422. Child abuse and neglect are complex criminal cases involving harm done to a child under the age of eighteen. 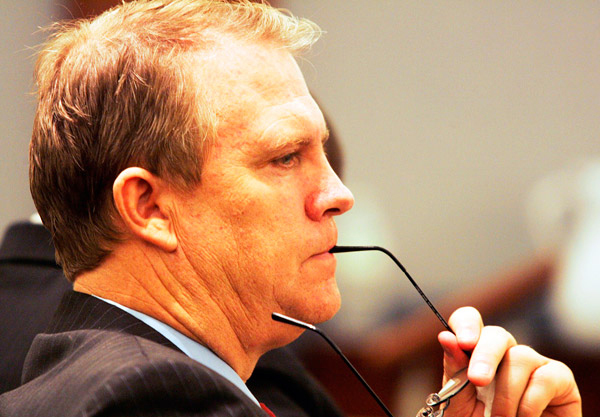 Nevada Child Protective Services investigates allegations of child abuse and neglect. This ranges from claims of physical and psychological harm, to sexual molestation, to neglect. In these cases, a non-offending person can be charged. This means failing to intervene when a child is being harmed is also a chargeable offense. Failure to maintain a proper home, failure to seek appropriate medical attention, physically abusing the child, sexual abuse, and family violence are all child abuse and neglect charges. A skilled criminal defense attorney in Tonopah Nevada, like the Tonopah Nevada family lawyers at Justice Law Center, has the courage to win your case. If you’ve been charged with Child Abuse or Child Neglect, call Tonopah Nevada Board-Certified Criminal Trial Lawyer at (775) 289-4422 today. Child abuse and neglect charges carry a variety or consequences, including criminal charges, termination of parental rights, and removal of the child from the home. If your children have been removed from your home, state law guarantees you a hearing within 72 hours. In the interim, Child Protective Services prefers to place the children with family members, but family members must pass a background check and have suitable accommodations. The initial goal of Child Protective Services is permanent reunification with the parents, but only if it in the absolute best interest of the child. Our attorneys will aggressively defend wrongful charges, or assist you getting the help you need to reclaim your family. Call a Tonopah Nevada family lawyer today at (775) 289-4422.